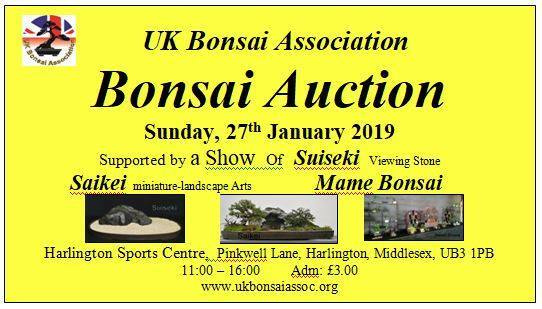 Don’t miss your chance to go to the UK Bonsai Association Auction on Sunday, 27 January 2019. Doors open from 11:00 – 16:00 and it is £3 on the door. The auction viewing starts at 11:00, while the actual auction starts at 12:00. To see the full list and photos of the auction items visit the UK Bonsai Association website. 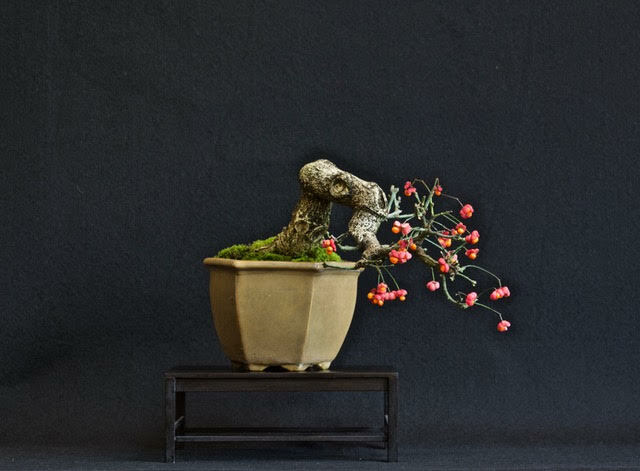 In addition to the auction will be a display of Suiseki (viewing stones), Saikei (landscape tray plantings) as well as Mame (small ‘bean-sized’ bonsai). The exhibition setting up at 10:00 and the doors open to the public at 11:00. Posted January 20, 2019 by AW & filed under General Interest.